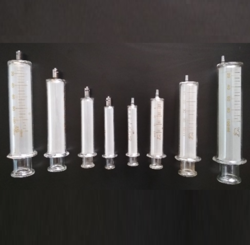 Pioneers in the industry, we offer laboratory glassware, glass syringes, luer lock and luer mount, borosilicate glass beakers, borosilicate glass reagent bottles, borosilicate glass dropping bottles and borosilicate glass bottles aspirator with outlet from India. 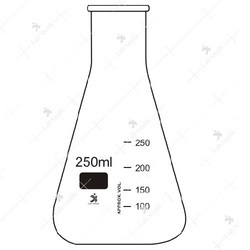 Laboratory glassware refers to a variety of equipment, traditionally made of glass, used for scientific experiments and other work in science, especially in chemistry and biology laboratories. 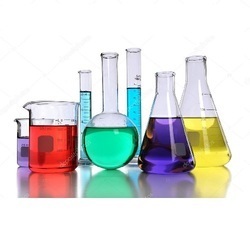 Especially borosilicate glass, or sodalime glass are preferred glass types for scientific experiments and other work in science, especially in chemistry and biology laboratories. 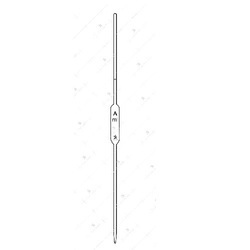 Our Glass syringes represent the most comprehensive line of reusable glass syringes and accessories for laboratory, life science and industrial applications. 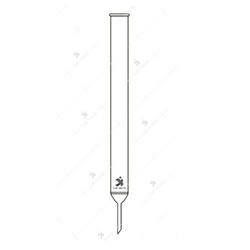 Glass syringes are supplied in non-sterile condition, offering unbeatable quality and value. 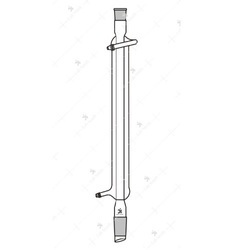 These syringes are made from superior borosilicate glass. Glass Luer Slip Tips/Luer mount - All glass luer slip tips have reinforced glass bases to assure strong tips and minimize breakage. They have beveled ends to reduce chipping. Metal Luer Lock Tips - Metal luer lock tips are made of chrome-plated brass. They are fitted to heavy glass bases to assure greater strength than glass luer tips. All luer needles lock into the lock tip with an easy twist. · Available with interchangeable solid Glass Stopper and Screw Cap. · Made of Heat Resistant Borosilicate Glass. 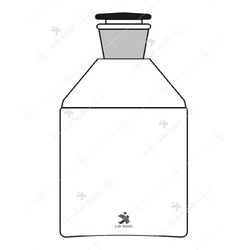 · Fitted with interchangeable solid Glass Stopper and Rubber Teat. · Available in both Clear and Amber Colour. 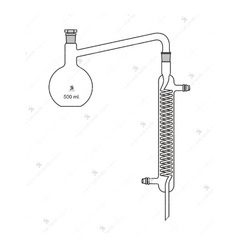 · Burette with Straight Bore Glass Key Stopcock and Rota Flow Screw Type PTFE Stopcock. · Accuracy as per Class 'A' with works certificate. 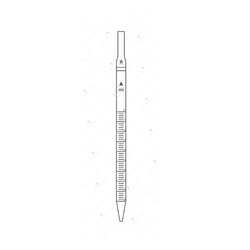 · Pipettes Transfer Volumetric, with one mark. · Accuracy as per Class ‘A’ with works certificate. · Supplied with Colour Code. Pipettes, measuring, Graduated, Serological, Accuracy as per Class 'A' with works certificate. Colour Coded. (These pipettes are calibrated to deliver from any graduation line down to zero at the jet, with the last drop expelled by blowing). 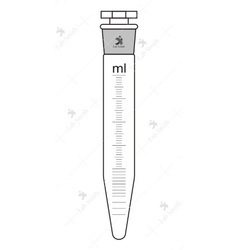 These Pipettes are graduated to tip and deliver their total capacity when last drop is blown out. 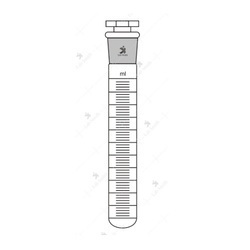 · Test Tubes, Graduated with Interchangeable Stopper. 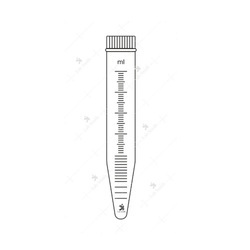 · Centrifuge Tube, with Screw Cap, Graduated. 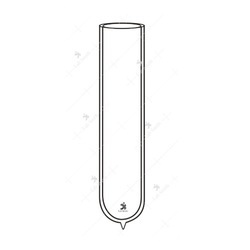 · Centrifuge Tube, Conical Bottom, Graduated. 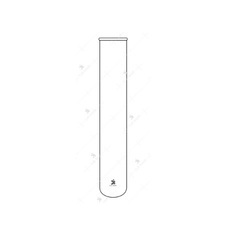 · Centrifuge Tube, Round Bottom, Graduated. · Narrow / Wide Mouth. 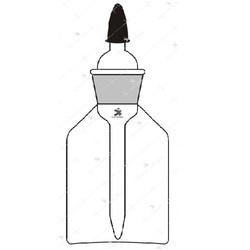 · Flasks Conical, with Screw Cap and Liner. 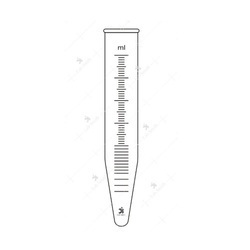 Note: * 1ml and 2 ml Volumetric Flasks are of Test Tube shape. 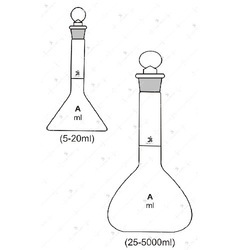 ** 5ml, 10 ml sizes are Trapezoidal Shape Volumetric Flasks. · Hexagonal / Round Base. Note: Condensers of any other Size can also be supplied on request. · With or without Joint. 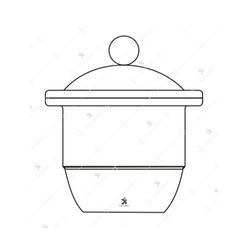 · Mounted on Reservoir, with Rubber bellow. 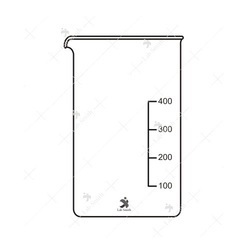 Note: Reservoir Capacity for 10ml Burette is 500ml and for 25ml, 50ml & 100ml Burettes is 2000ml. 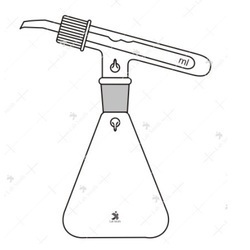 · complete with Conical Flask and Screw Cap fitted replaceable head. 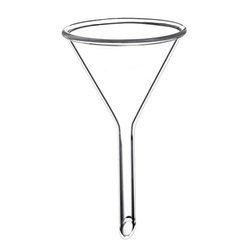 · Interchangeable Stopper, Plain Stem. 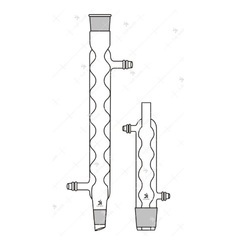 · Filter Flask with Socket and Buchner funnel with Sintered Disc of Porosity G-1 or G-2 or G-3 or G-4 having Cone. Note: Please Mention porosity of sintered Disc, while placing order. 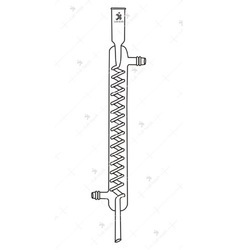 · with support for membrane, Funnel, Flask and Clamp, Standard Joint Fitting. 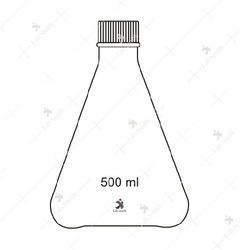 · Consists of 500 ml. flask, 200 mm. 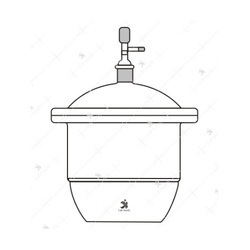 Graham Condenser, and stopper. 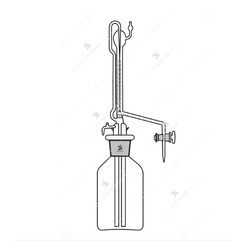 · consists of Flask, Extractor and Condenser. · with PTFE bonded silicon 1mm Septa & Cap. · Made of clear / Amber glass tubing. · With / without stopcock. 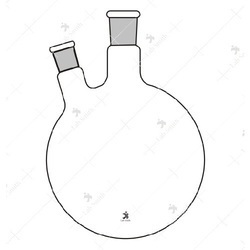 · Dewar flask: Double walled, cylindrical, evacuated, unsilvered. 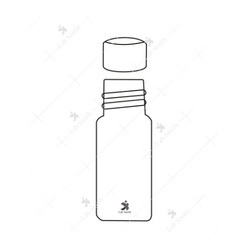 Dewar flask unsilvered 300 ml. Dewar flask unsilvered 400 ml. Dewar flask unsilvered 475 ml. 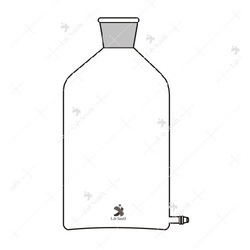 Dewar flask unsilvered 600 ml. Dewar flask unsilvered 750 ml. Dewar flask unsilvered 950 ml. 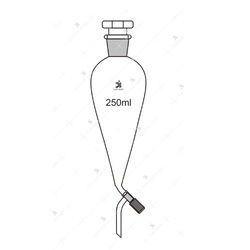 Dewar flask unsilvered 2000 ml. · with Perforated Porcelain Plate. · Made of Neutral Glass. 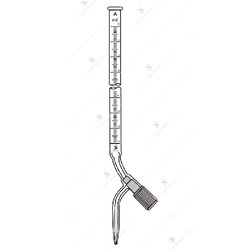 · with Interchangeable Stopper and Glass key Stopcock, Plain Stem. 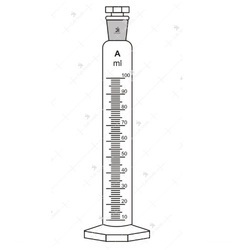 · Vertical tube with condenser and measuring tube with stopcock. 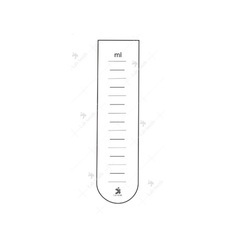 Essential Oil Determination Unit 1000 ml. 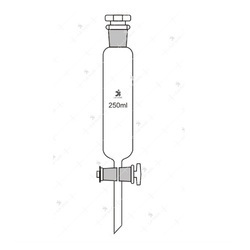 Essential Oil Determination Unit 2000 ml. 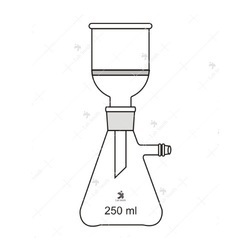 Essential Oil Determination Unit 3000 ml. 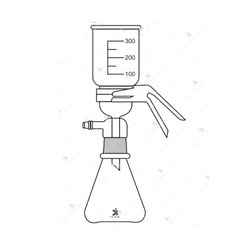 Essential Oil Determination Unit 5000 ml. 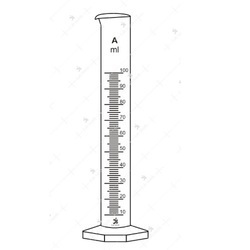 Essential Oil Determination Unit 10000 ml. 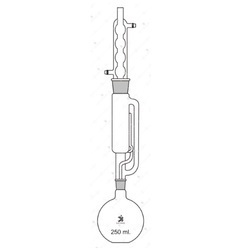 Essential Oil Determination Unit 20000 ml.